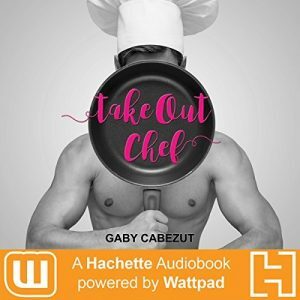 Take Out Chef is a new release from Hachette Audiobooks: Powered by Wattpad – an innovative collaboration between Hachette Book Group, a leading publisher, and Wattpad, a passionate storytelling community of over 45 million people. Your favorite online stories, now available in your headphones! Jessica Summers works all day to support her family. Her social life consists of having dinner in front of the television watching Chef Tom’s magical hands prepare foods. Being a chef is her lifelong dream, but since her mom passed away, being there for her brother and helping ease the burden for her quirky grandmother are her priority. Her life takes an unexpected turn when her brother signs her up in an experimental program to help young delinquents. Chef Tom Simmons and Chef Bryan Sullen head the project, and, when they meet, Jessie is hoping to get a spot in the school – despite her noncriminal record – not to find a new job. Yet Tom is in desperate need of a new assistant, and Jessie is the perfect fit. Bryan has a rough facade. He’s obnoxious and bossy but shows moments of kindness, too. Their romance blossoms between remaking messy soufflés and baking crispy croissants. When they have plans to start dating, Bryan has an emergency and shuts down on Jessie. When Bryan comes back, Jesse must decide to follow her heart and give the man she loves a chance to open up or let him go for good. Gaby Cabezut is sappy and sweet as a box of chocolates. She believes that we could all do with a bit of romance and magic in our lives. She loves to write romantic, emotional stories that will make you laugh and sometimes cry. 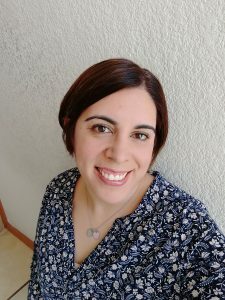 She’s Mexican and always dreamed to write in English, and found the chance to do so on Wattpad, where her stories have gathered over 100 million reads online. 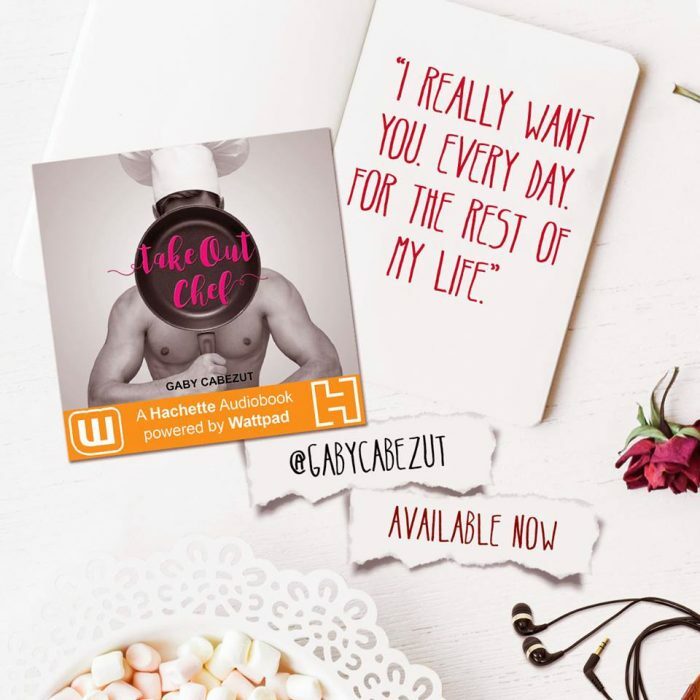 Her published books are sweet and contemporary romances that will sweeten your life like a batch of brownies. She spends her days between her family, her words and a batch of whatever dessert she decided to create for that evening. She has been published by Pop Fiction Books in the Philippines and HachetteAudio. Prince with Benefits has also been adapted into a game! 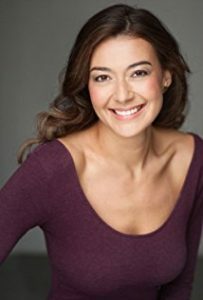 Rachel Mazz is an actress, known for Not the Same. Ok, let me start with the positives (no need for story-telling, as the blurb is quite detailed). I liked the relationship between characters, even if some were not very much insisted upon. We have Jessie and her teenage brother living together with their grandmother. They are the perfect picture for a brother and sister relationship – they argue, they joke around, but they are always there for each other. Also, their non-conformist grandmother is the spice of the family. They are so sweet and cute together! Then we move on to the friendships formed during the cooking classes. Hose were also very well created, I appreciated all the interactions between our main character and her new friends. There is a beautiful atmosphere overall in this book. It gave me that cozy feeling that one should have when reading romance novels. So the writing reached its purpose. The narration was also good, the narrator did a very good job in keeping the accent of the British characters and as well she captured the emotions beautifully. Now I am not quite comfortable with how the romance was built, mainly because some moments were a little bit forced, especially in the end. There is uncertainty between Jessie and Bryan and they are afraid of starting something. They are afraid of having a serious conversation and take decisions. Bryan is taking seriously his job as a teacher for those with low chances of success in life and this is an honorable thing to do, Jessie is trying to deserve the job she received and takes the classes seriously. If the first part of the book is more focused on knowing the characters and the familiar ties or friendships, the second part is more focused on the romance between Jessie and Bryan. I received this audiobook as part of my participation in a blog tour with Audiobookworm Promotions. The tour is being sponsored by Gaby Cabezut. The gifting of this audiobook did not affect my opinion of it.